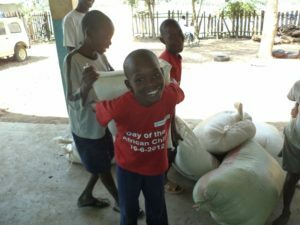 The Kenyan Orphan Sponsorship Trust (KOST) is a Leeds-based charity, working to provide practical assistance to orphans and other vulnerable children in Homa Bay, Kenya. KOST provides a stable, secure and stimulating environment at KOST Children’s Home, where good nutrition and medical care is available to all. The children come from very disadvantaged backgrounds but through education and new opportunities, each has hope for a way out of poverty and a better future. Homa Bay’s Children’s Department is greatly appreciative of KOST’s presence and work in the town. The home is often called upon to provide a place of safety at short notice. KOST Children’s Home addresses urgent as well as long term needs and there is much more to do if resources allow. KOST’s work began in 1995, after Rev. Dr. Mabel Parris visited Kenya from the UK. She witnessed the plight of children in an impoverished rural area near Homa Bay and met the community trying to help them. Widespread poverty, HIV/AIDS and other diseases had caused the premature death of parents, leaving many orphans behind. KOST established itself as a practical, grassroots charity to help those in need and this vital work continues today. KOST is run by a small team in the UK, with no paid employees. We bear a large proportion of the administrative costs ourselves, so that donation gifts stretch as far as possible to help the children. 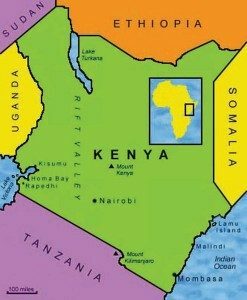 We visit Kenya at our own expense to see our Kenyan staff and the children, and to enable on the ground, practical assistance. We employ eleven Kenyan staff. They are caring and loyal, most have been with us for years. Between them they provide all aspects of care for the resident children and give vital support to trainees, special school and secondary school children who live elsewhere. 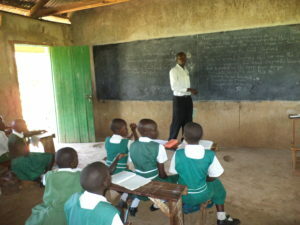 Two of our staff are qualified teachers. 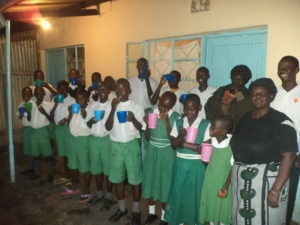 KOST also employs a nurse, social worker and several valued support staff as part of the Kenyan team.